Thailand has turned into a popular tourist destination in recent years, and the capital city Bangkok welcomes millions of tourists of every fall. But is this the country all about? Absolutely no! Thailand, as a country, is more than a country where people come to live in a much more modern ambiance, far-stretched beaches, and nightlife. The country that set a perfect modern-day fantasy for people all around is also a country that is holding up to its history which many are not even aware of. This is the country where the ancient form of tattoo “Sak Yant” was invented centuries ago which is made in an ancient way and it still prevails there. Apart from Bangkok, Thailand has more amazing cities where there are things you perhaps even thought of exploring. The best way to explore them is to book a Thailand tour package from a reputed company. For now, let us help you explore some of the best cities of Thailand apart from Bangkok. Sukhothai was the former capital of Siam and it is famous for its rich historical sites and possession. This city is a must visit if you are looking to delve into the history and culture of Thailand. You may not find anything apart from the ruins or archaeological sites and this turns out to be a heaven for the history buffs. The city was once a flourishing kingdom in the 13th and 14th century and it was often considered as the golden period of the Thai civilization when it reached its peak. Hua Hin is another city in Thailand that you must visit. The city was nothing more than a fishing village until it turned into the first beach resort of the country in the 1920s when King Rama VII started to use the place as the royal gateway. Throughout this time, the city evolved in a much better way providing people of Bangkok to have an ideal weekend and holiday gateway. There are many things you can enjoy this city like waterparks, golf courses, and, waterfalls, caves, and others. Nong Khai is a place that resides in its own world and is different from the rest of the cities. The city is located on the banks of Mekong River and lives through its own culture. There are many local festivals celebrated and each has its importance. There is a huge Buddha statue along with Lord Shiva and Lord Vishnu sculpture. The natural landscape is another thing that you will appreciate here. There is a high chance that when you are visiting the soothing place, you will catch up with one or 2 festivals. These 3 places are amongst those cities of Thailand that has its own importance. Each offers something different to the tourists and you will realize that Bangkok is not the only city you should hit rather you should look into a bigger picture with better things. 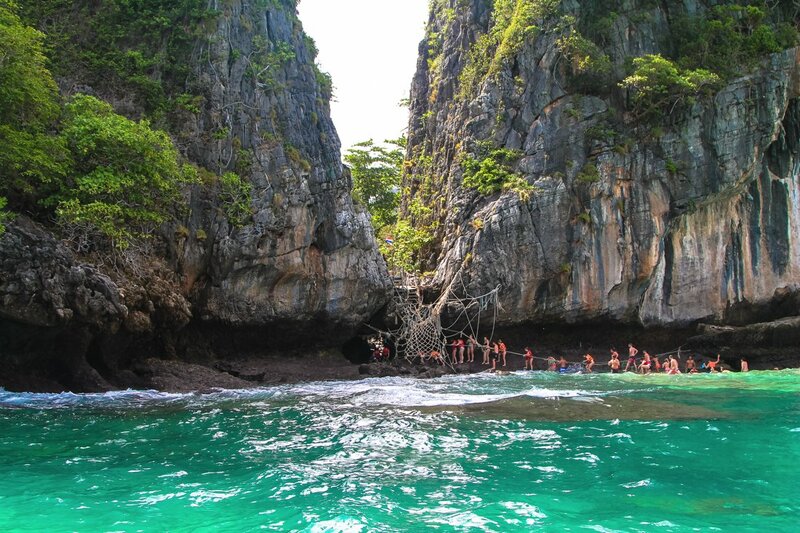 So, the next time you are making a plan to visit Thailand, make sure to visit these 3 places.